They're baaaaack. Here we go, the final stretch. Season Six. Eight episodes until the fate of the island is determined. Kate, Jack, Hurley, Jin, Sawyer, Sayid, Miles, and Juliet, all are back from 1977. Clearly the Incident didn't do what they thought it was going to do. Juliet, however, is still alive, only being in 2007 instead of 1977, she's trapped at the bottom of the imploded hatch. Sawyer manages to rescue her, but she dies shortly thereafter. Speaking of dying people, Sayid still has a gunshot wound to the abdomen and doesn't look so great. Back at the beach, Locke (we'll call him Locke just because it's the easiest thing to do) tells Ben to send Richard in to talk to him. Ben heads out, and Richard shows him the body of the real John Locke. Hurley is with Sayid, when he sees Jacob off in the jungle. Jacob tells him that he's dead, and that they have to take Sayid to the Temple in order to try and save him. 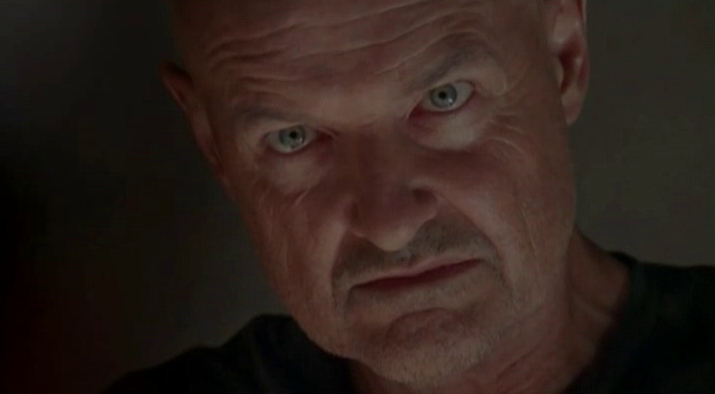 Instead of Richard, Bram and his crew head in to confront Locke. They try to shoot him, and he turns into the Smoke Monster and kills them all. Sawyer buries Juliet, and Miles stays behind. Everyone else takes Sayid to the Temple per Jacob's wishes. They are captured by the Others, and taken before the leader of the Temple, Dogen. We see Cindy, from Oceanic 815, who we haven't seen since Jack was locked in a polar bear cage on Hydra Island. They bring Sayid into the Temple, to the pool of water, to try and heal him. However, it doesn't work and he dies. Sayid and Miles arrive at the Temple. Ben talks with Locke, realizes he's the Smoke Monster, and that he was used by Locke to kill Jacob. Dogen has a meeting with Hurley, where he learns that Jacob has died. They sound the alarm and take the proper precautions to keep the Smoke Monster out of the Temple. Back at the beach, Locke leaves Jacob's lair with Ben. He knocks Richard out and takes him into the jungle. As the episode ends, Dogen wants to talk to Jack alone, but Jack refuses, and as he struggles, Sayid suddenly sits up and asks what happened. The episode runs 51:28 and is 417MB to download. You can stream the episode below (via Facebook), or go here to use torrents (better quality, recommended) to download the episodes to your computer.